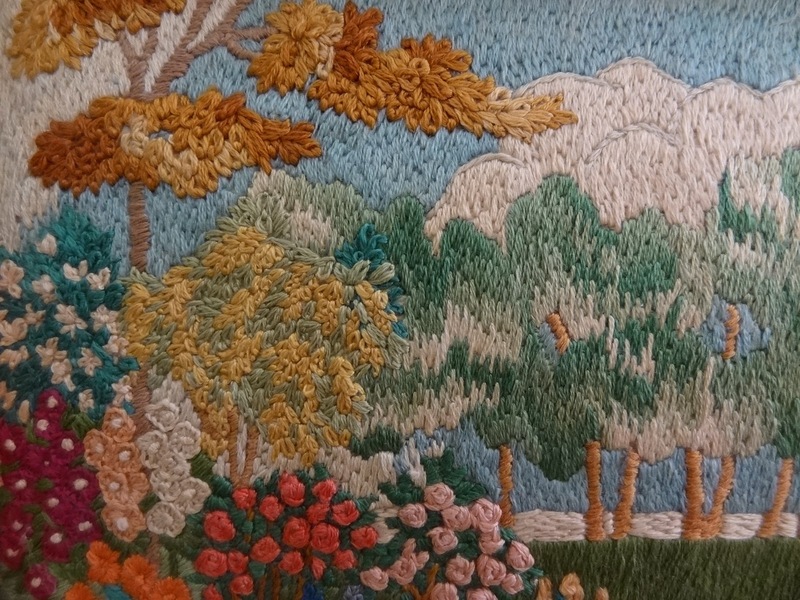 A week or so ago I found this embroidery in a Matlock charity shop, and bought it for the princely sum of £5. 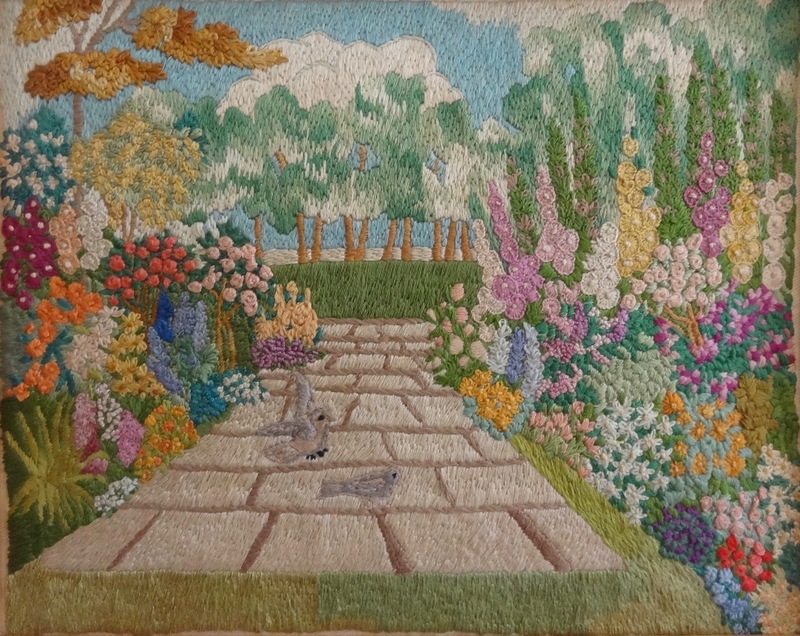 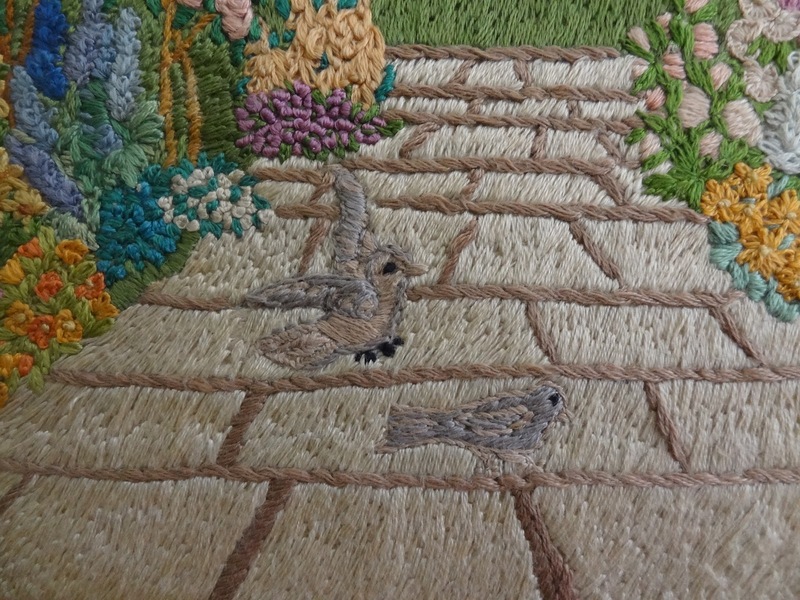 It measures 10.5 x 8.5 inches and is densely packed with skilful stitch depicting flower, tree, leaf, bird, path and sky. I find it remarkable. The directional and repeated stitches remind me of the cuts I've been making in lino to suggest form and surface of dry stone wall and hawthorn hedgerow. I opened the back of the frame hoping to find information about the maker, and discovered dated 1980's patterned kitchen roll, carefully folded as padding behind the work. 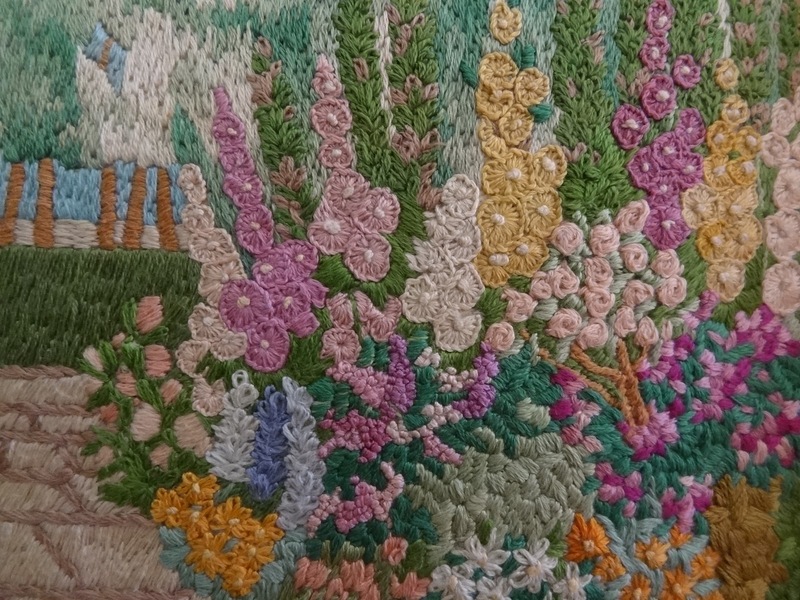 I tenderly replaced this treasure, a time capsule, hidden behind stitches.